Here is a picture of three generations of Christian women. Growing Faith in action. 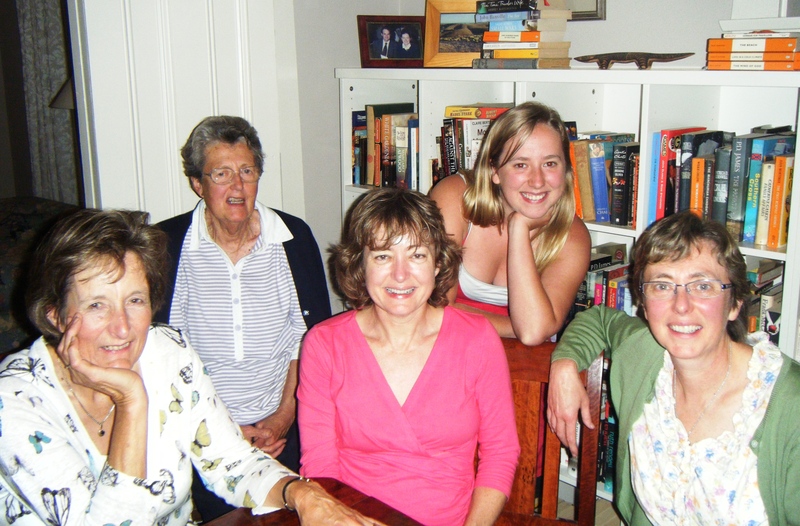 My Mum, my aunt, my sister, my daughter and me…. The legacy that an older woman can pass onto the younger woman – and then the young can learn from the older. Growing Faith is a monthly e-newsletter produced by Anglican Youthworks. It is now up to issue 8. If you have children and are interested in reading about raising your children as Christians, you will find this practical, readable and helpful. I have read all previous issues and have enjoyed each one. You just need to sign up and each month, it will be emailed to you. The articles are written by wise and thoughtful people. I would encourage you to read it if you want tips on how to help shape and mould your young people and help them grow in their faith.